REST FOR THE WEARY It sounds easy: Twenty seconds of intense exercise followed by ten seconds of rest. Repeat eight times for a total of four minutes of intervals. Then onto a different exercise. But make no mistake, it’s one of the most hard-core workouts I’ve had the pleasure of experiencing. (I limped for two days after my first class—it was that good!) Equinox’s new Tabata class goes back to the basics with super-simple interval training, helping participants reap a trio of healthy benefits: improved VO2 max (the body’s ability to consume oxygen), torched calories and increased strength. 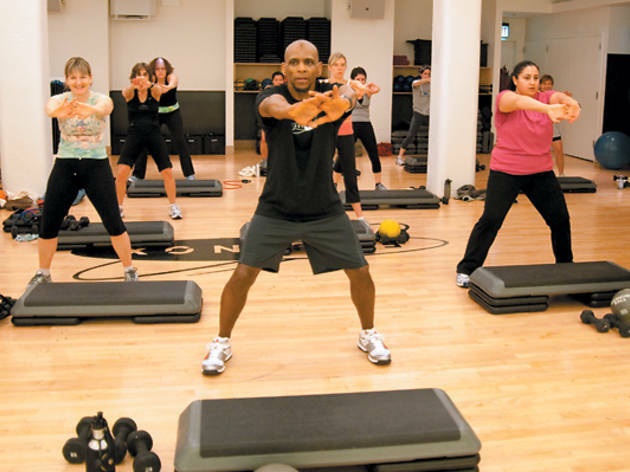 The class begins with a warm-up and quickie education in proper form for the exercises to follow, followed by intense cardio, strength and endurance drills that utilize studio tools such as the step, medicine ball, body bar and dumbbells to target the body from every angle. One interval in, you’ll think you’re golden. Six more and you’re quivering in disbelief. But because you know a break is coming every 20 seconds, you never feel broken. That’s the beauty of this workout: The carrot of rest always dangles so close. Oh, and the muscles you sculpt seemingly overnight aren’t too shabby either. •900 N Michigan Ave (312-254-2500, equinox.com); •1750 N Clark St (312-254-4000); •200 W Monroe St (312-252-3100). 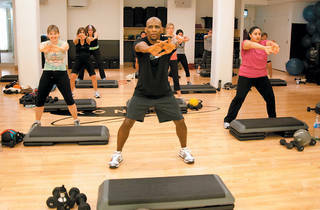 $15 day passes are available for members of other Equinox locations; $25 day passes for members’ guests.